Win2PDF and Win2Image can be configured to automatically name files and bypass the file save window. To enable this feature, click the "Auto-name Files" checkbox in the Document tab. The path used by the Auto-name feature is inherited from the currently selected path when you click on the "PDF Options" button in the file save window. To change the auto-name path, go back to the file save window and browse to the desired folder before clicking on the "PDF Options..." button. Once Auto-name is enabled, you will no longer see the Win2PDF file save window when you print. 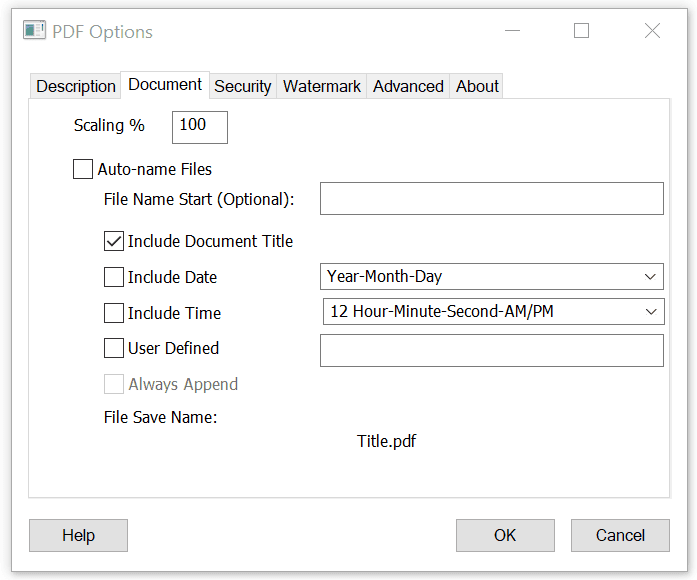 To turn off the Auto-name feature and resume prompting for the PDF file save, you will need to either hold down the SHIFT key when printing to Win2PDF, or go to the Windows Start menu and go to the Win2PDF program group. 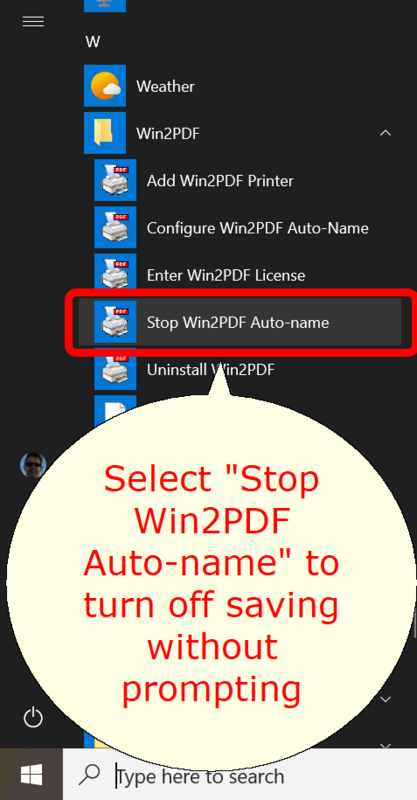 There, you will be able to select 'Stop Win2PDF Auto-name', as shown below.